Canadian FX firm OANDA Corporation appointed Dean Popplewell to the position of Director Of Currency Analysis and Research at the end of last week, as the latest development in Mr. Popplewell’s tenure at the company which spans across almost eight years. Having joined OANDA Corporation from Canada’s Scotiabank in May 2006, he has been responsible for heading up the company’s MarketPulse news and analytics service which provides information on current economic trends. With twenty years’ worth of experience within the FX industry, Mr. Popplewell spent his first twelve years in the banking sector, firstly as Chief Currency Trader at Bank of Montreal, before joining Scotiabank as Director of Fixed Income and Money Markets. 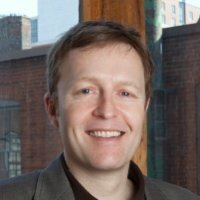 An external contributor to Forbes Magazine, Mr. Popplewell recently published the Global Currency and Commodity Outlook for 2014 for the publication, and has an academic background as a graduate of Dublin’s Trinity College, with a degree in Economics and Finance in his native country of Ireland.